I create unique floor and wall mosaics to fit your construction/artistic requirements. Conceptual designing a specialty. As I predominantly use porcelain/marble and limestone my work will last a lifetime and meets local Council health and safety requirements for public safety. A specialty of my work is the construction of wall panels depicting NZ flora and fauna that are framed in Kauri timber in order to be hung in gardens and recreational areas. Clients are welcome to visit and view samples of my work at my studio. 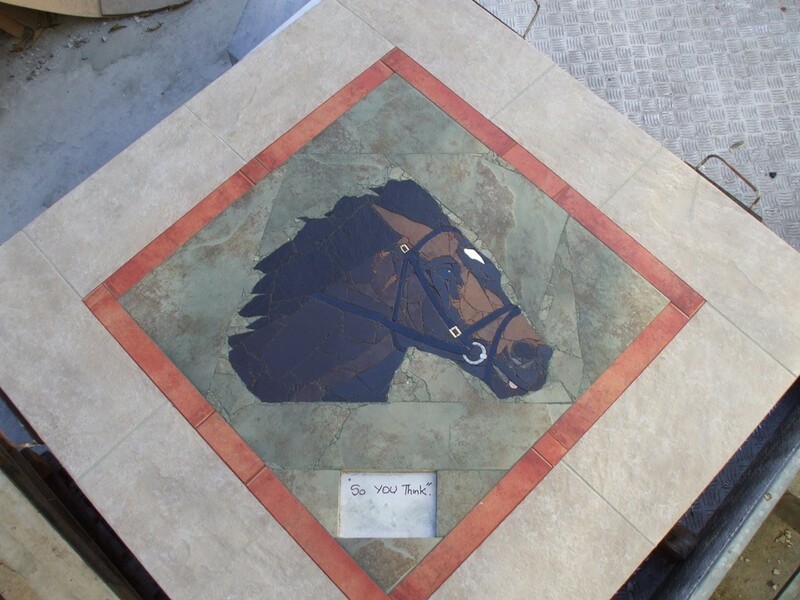 Photo: One of 20 porcelain mosaics depicting champion thoroughbred horses and placed into the footpaths of Cambridge township.